While five people died in Ariège, Savoie and the Hautes-Alpes on Sunday, the risk of avalanches remains important, said Monday an association of Haute-Savoie, specializing in prevention and relief in the mountains. Océane Vibert, director of the association La Chamoniarde, dedicated to the prevention and rescue in mountains at Chamonix-Mont-Blanc, in Haute-Savoie, warns Monday, February 19 to franceinfo that skiers should take care as the risk of avalanches ” persists ” while five people were killed in the mountains Sunday, February 18 in Ariège, Savoie, and the Hautes-Alpes. The risk of avalanches is classified at level 3 on a scale of 5. “In holidays and in good weather, there is always, ultimately, a risk a little more important,” says the director of La Chamoniarde. She warns against the carelessness of some holidaymakers. “There are people who are not necessarily aware of the risk, so they will put themselves in danger without really knowing it”. And no one is spared. The most experienced are also exposed to the risk of accidents. “We also have accidents with people a little more experienced because zero risk does not exist (…) Everyone is concerned by the risks in the mountains,” says Oceane Vibert. She also warns about off-piste skiing. “We have about 30 deaths per year on average in France. The practice of off-piste skiing is increasing, it’s much more fashionable in recent years” but “it’s a figure that is stable compared to practitioners who increase, ” explains the director of La Chamoniarde. The Pyrenees are on orange avalanche alert this Tuesday, February 20th. Check this video with a reportage in Peyragudes, where everything is done to secure the access of skiers to the slopes. Laurent Garcia is the director of the Peyragudes resort in the Pyrenees. Before the opening of the slopes on Tuesday, February 20th, he supervises the avalanche release operations . Since 6 am this morning, the artificial trackers secure the domain. In a few minutes the first skiers will arrive. Everything must be ready: ski lifts and signs. Nine hours past and the tracks are open. In these difficult conditions, ski instructors have two watchwords: caution and pedagogy. “The mountain is dangerous when it is beautiful, so we will explain how it happens,” says Pablo Mourasse, ski instructor at Peyragudes. ” If the domain is closed in part like that, it’s because there are reasons and we’ll explain why,” he continues. In this period of school holidays, more than 5,000 holidaymakers are expected on the estate. Thirty to 50 centimetres of snow will still fall on the station. In the Pyrenees, the orange avalanche warning will be maintained until Wednesday morning. 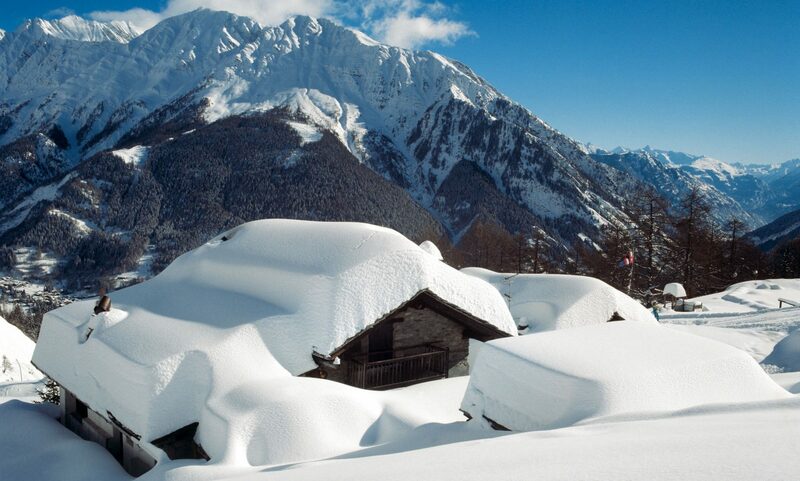 More avalanche deaths early in the season in the Swiss Alps were reported on this story. And also these young British skiers that died skiing off – piste demonstrate that you have to be über careful if venturing outside the pistes.